Swiss Ball exercises for Core Fitness are a great way to target your core as well as develop toned muscles all over the body. The Swiss Ball can also be used for rehabilitative services as well to assist with back, knee, or hip injuries. Increased flexibility and improved cardiovascular health have been associated with Swiss Ball exercises. The Swiss Ball can support your lower back while you exercise and stretch. This is exactly why physical therapists and chiropractors began using the ball in their treatment! Back injuries and pain are common experiences for many nowadays. Incorporating the Swiss Ball exercises for Core Fitness can help relieve pain and assist with mobility. Everyone’s attention is on the core. Indeed, it is the power source of many of our range of motions and actions. 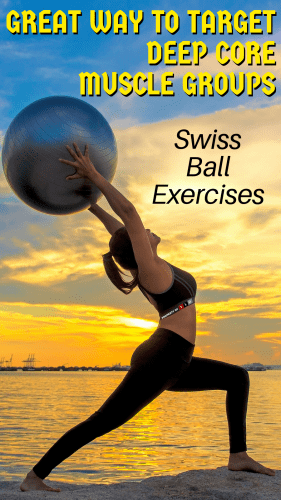 Using Swiss Ball exercises for Core Fitness is a great way to target those important muscles and help shape your tummy as well as improve your athletic performance. 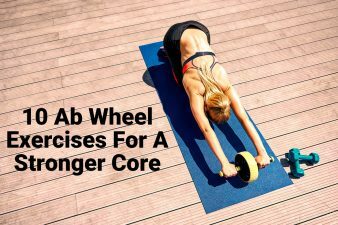 Core muscles are located deep within the body, and strengthening them is not always noticeable, meaning that these essential muscles often get forgotten. Using the Swiss Ball exercises for Core Fitness will make those muscles feel a lot less abandoned. There are three major muscles in the “core” or midsection of the body. These three major muscles work together to provide spinal support and help you perform daily essential activities. For very significant muscles, we don’t always think to make them stronger when planning our strengthening or fitness routines. Not to worry, the Swiss Ball exercises for Core Fitness have your core muscles covered. Training on the ball is a great way to target these hard to reach areas. Just by sitting on the ball, you activate your balancing muscles. However, just sitting on the ball may be difficult because the ball is an unstable base. Your balancing muscles must constantly be working to keep you upright and off of the floor. Think of when you are at the gym sitting on a bench or other hard surface, or perhaps at your office desk in one of those old-fashioned swivel chairs. You don’t use any of these stabilizing muscles because the chair or whatever hard surface is supporting your body. When sitting on your Swiss Ball, try bringing your feet closer together to alter your base of support and intensify your workout. As you get used to the Swiss Ball you’ll become more aware of how your body should feel on the ball and what movements will target those deep abdominal muscles. A rule of thumb for using the Swiss Ball exercises for Core Fitness is that the further away the ball is from your core, the more your muscles have to work to keep you balanced and upright. Another example of this is if you were doing push-ups on your Swiss Ball. You place the ball under your legs, which would make the push-up feel a little easier than if you had the Swiss Ball supporting your lower legs near the ankles. Make sense? The Swiss Ball will either support more or less of your weight relative to how close or far away the ball is from your core muscles. Improving posture is another benefit of using the Swiss Ball exercises for Core Fitness. Posture is something we are not always mindful of. 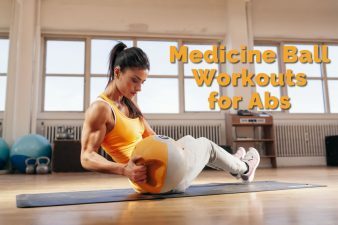 Even writing this, I found myself a little slouched over instead of sitting upright, using my ab muscles more to keep my chest broad. It is important to keep that natural curve in the spine but to make sure you’re not folding over your abs. Aiming a little high while on the Swiss Ball or while sitting in a chair is a great way to keep those core muscles working. As your core muscles grow stronger, sitting upright and achieving good posture will come a little more naturally than before. Another great benefit of using the Swiss Ball exercises for Core Fitness is Muscle balance. This is important for appearance and especially for performance and overall health. It can be great to have amazing, big and buff arms, but if you lack shoulder or core strength, you might not be able to perform for example a long, fast throw in baseball. If you hit the ball, you would also need lower body strength to get you to the bases quickly. All-around body strength is needed for a successful athletic performance. The Swiss Ball can be used for multiple exercises and modified activities to target every area of your body. You can add the ball to a push-up to intensify an all over body exercise. When doing sit-ups try lifting the Swiss Ball over your head when you move up to get your biceps and tricep muscles involved and to really impact those upper-abs by elongating your abdomen. The Swiss Ball can be used for all kinds of core-strengthening exercises. It is a great piece of equipment to mix-up and intensifies a lot of exercises and moves you may already be doing. Remember the importance of your core when exercising and try to target the area as much as possible for great, all over body results.